The Kia Stinger Takes Virginia Roads by Storm. Every once in a while, a car comes along that manages to balance exciting sportiness with head-turning grace. The Kia Stinger does just that, and throws in a refined interior and heart-pounding performance that lives up to its striking exterior. Its look is aggressive, and it has the power to back it up. Expert reviews make particularly positive mention of the Stinger’s impressive acceleration and braking abilities. Ample space and a feature-packed, comfort-forward interior add to its appeal, as does the affordable price tag Kia is known for. It may not be classified as a luxury car, but it certainly feels like a close approximation. Power. Refinement. Style. You can look long and hard-and we invite you to do just that when you explore our online inventory or visit us in person to check out what we have in stock-but you’re not likely to find a car that strikes such a harmonious balance among these attributes. Reading about a vehicle can never replace the experience of seeing it in person, of sliding behind the wheel and taking it out on the open road. See for yourself how responsively it steers, how agile its handling, how comfortable you feel in its seats, how it feels to harness all of that power. Explore firsthand its technology and comfort features, get a better idea of how (and if) its cargo and passenger space will work for you and your needs. What Can You Expect from the 2018 Kia Stinger? The Stinger is the new kid on the block, but the buzz surrounding this affordable entrant into the established sports sedan segment is positive and abundant. Challenging the “big guys” with their higher prices, the Stinger appears to be more than capable of holding its own among the competition. This first-generation model takes on its rivals with competitive features and amenities, power, speed, handling-and easily bests them when it comes to value. All of the Stinger’s trims come standard with rear-wheel drive but offer available all-wheel drive. The first two trim levels, the baseline model and the Premium trim, receive a 2.0L I-4 turbocharged GDI that makes 255 hp. Meanwhile, the GT, GT1, and top-of-the-lineup GT2 trims get an engine boost with a 3.3L V6 twin turbo GDI with 365 hp. Even the base model is impressively equipped, with standard equipment including a smart power trunk, Android Auto and Apple CarPlay integration, leather-trimmed seats, and heated front seats. Its UVO connectivity system with 7-inch touchscreen display and Bluetooth technology with voice recognition keep it on the cutting edge of tech features. A wide range of standard and available safety systems and functions will let you sit back and enjoy the ride with confidence and peace of mind. Advanced convenience and driver-assistance tech, such as the Kia-first Driver Attention Alert, which protects against distracted or drowsy driving, are leading the charge in state-of-the-art safety features. Adapted from the GT concept vehicle that preceded it, the 2018 Kia Stinger was introduced to the world at the North American International Auto Show in 2017. Promising to be the company’s highest-performing production vehicle ever, this five-passenger sports sedan generated plenty of buzz from day one. The highly anticipated Stinger has thus far surpassed driver and car reviewer expectations. It seems that the vehicle’s enticing combination of powerful performance, head-turning good looks, comfortable and impressively equipped interior, and Kia-signature affordability is making it a winner among drivers in Virginia and nationwide. 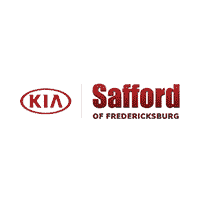 Why Should You Buy or Lease from Safford Kia of Fredericksburg? Maybe the Stinger is number one on your list. Maybe you’re still entertaining your options. Our vast selection of new and used vehicles is well worth taking the time to explore. Our friendly, knowledgeable sales associates will be happy to help walk you through what each car has to offer and determine which models best suit your driving needs and lifestyle. Once you’ve narrowed down your selections, the fun can begin: Test drive your favorites to get a better idea of how you feel behind the wheel! Throughout it all, you’ll appreciate our commitment to excellent customer service and our desire to help you get the car you want at a price you’ll love! We’ll show you which specials and incentives can work to put your new car well within your budget. Find us today at 5204 Jefferson Davis Highway in Fredericksburg. We can’t wait to put you behind the wheel!